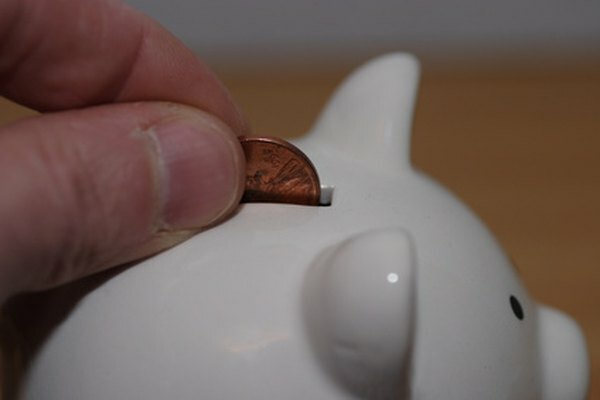 A piggy bank is a possible start for a child's savings. 3. Can I Transfer My UGMA/UTMA Account Into a 529 Plan? Parents want children to have savings accounts in order to teach them the value of saving money, put aside funds for a car or pay tuition for college. A parent can't just put money into a savings account for a child, though. There are tax implications, for both parent and child, with any type of savings plan for a minor child. The most popular savings options for children are 529 programs and custodial accounts, called UGMA and UTMA for Uniform Gifts to Minors Act accounts and Uniform Transfers to Minors Act accounts because of the rules for each type. A 529 plan is a state-sponsored program to save money for college. UGMA and UTMA plans put money into a savings or investment account, which can be used for any purpose. Some states allow deductions on state income taxes for 529 contributions, but UGMA and UTMA contributions are taxed at both state and federal levels. Federal law does not grant deductions on 529 contributions, but money in the account grows tax-free. You won't be taxed when money is withdrawn for educational purposes, meaning the interest and income generated for the life of the account used for that is tax-free. A few states, however, tax 529 earnings when they're taken out of the account. Money put into UGMA or UTMA accounts belongs to the child, even if a parent is the custodian or manager of the funds. That means any income or growth is taxable at the child's rate, which usually is far below that of the parents'. That income also may be subject to state income tax in some states. A standard savings account with the parent as trustee, another option for a type of child savings account, is subject to the same federal tax rules. When a child is deemed an adult, at 18 or 21 under various states' laws, that money is entirely his or her tax liability at the applicable adult rates. Before a child turns 14, UGMA and UTMA income is taxed at special rates. The first $950 is exempt, the next $950 is taxed at the child's rate, and any income greater than $1,900 may be taxed at the parental rate, the "kiddie tax" rule. Once the child turns 14, income and capital gains are taxed at the child's rate, which may be as low as 10 percent for interest income and 5 percent for capital gains from such investments as mutual funds. At majority under state law, the income is taxed at adult rates. If all the income in a child's account is from interest, dividends and mutual fund capital gains distributions, a parent may elect to include that in his or her 1040 personal income tax form so the child does not have to file a tax return. A parent needs to see IRS Form 8814, Parents Election to Report Child's Interest and Dividends, to see whether that would be beneficial. It might depend on the parent's tax rate. A parent or grandparent who makes large contributions to a child's custodial account also could run afoul of the federal gift tax. An individual can give up to $13,000 a year -- $26,000 for married couples -- without gift tax implications. For amounts above those limits, a gift tax return has to be filed. There still may not be any tax owed, however, under estate exemptions that can go up to about $5 million. Are Custodian UGMA Accounts Taxable on a Parent's Income Taxes? Are Withdrawals Taxed in a Custodial Account?